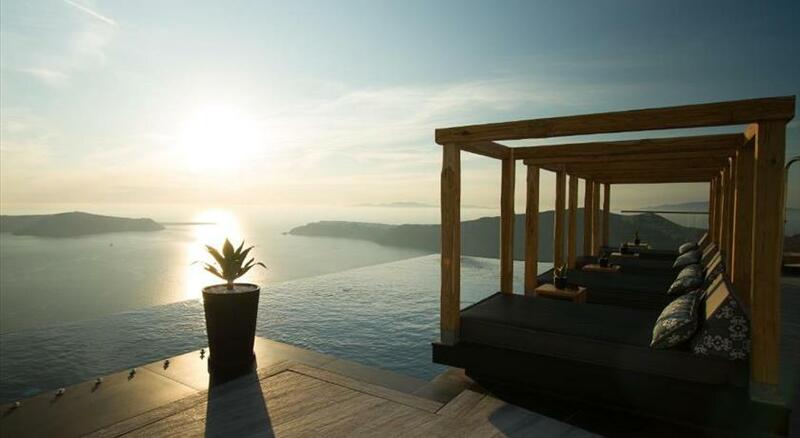 Situated at the highest point of the Caldera , Dreams Luxury Suites offer a combination of privacy, elegance and breathtaking views overlooking Santorini , the Aegean Sea and the beautiful sunset . This unique accommodation is comprised of just 4 suites, originally built more than 100 years ago. Recently renovated, they have kept their traditional style and charm, whilst featuring modern and luxurious amenities. Each suite is designed in the Cycladic style and includes its own private terrace, complete with a swimming pool or hot tub , overlooking the stunning Caldera and Aegean Sea. The small number of suites ensures a high quality of service and privacy. Taken from a drone fly over that shows the hotel from above. 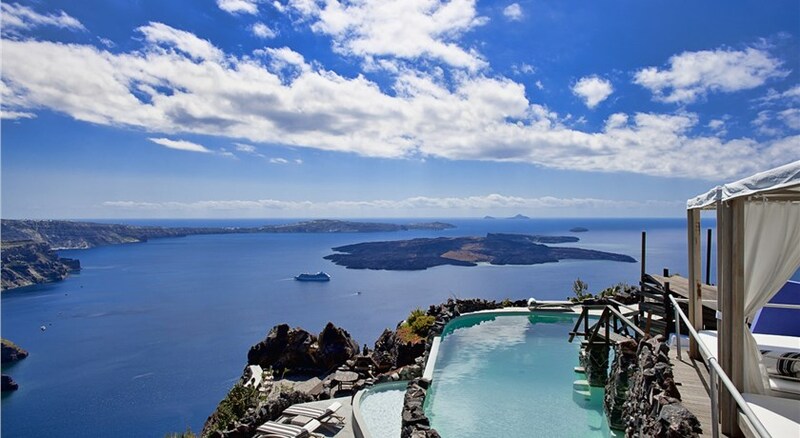 Dreams Luxury Suites is located in Imerovigli's caldera.